From CBC Radio interview Sep 11 edited: The idea behind Rotary Park was to create something everyone in Sudbury could enjoy, and this weekend the clubs are encouraging people to take them up on that offer. 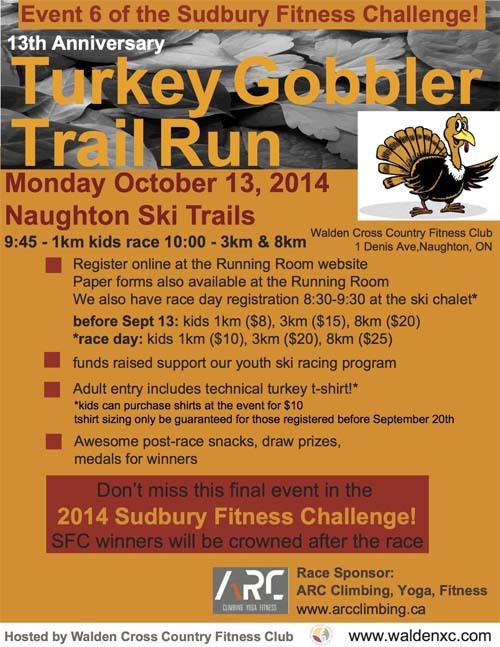 The Sunrisers Rotary Club and the Rotary Club of Sudbury put on a Fun Run and fundraiser on Saturday on the trail they created. The trail in Rotary Park is now part of the Junction Creek Waterway Park, which runs from Mountain Street to Adanac Ski Hill on Beatrice Crescent. The route is a popular link for people to cycle and walk between New Sudbury and the downtown area. It also includes staircases that lead to views of the city. 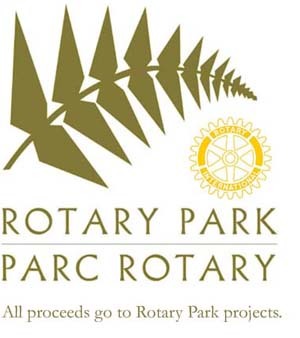 The Rotary clubs came together to build the park and trail more than a decade ago. It was designed to be a natural environment where citizens can go out and enjoy in the middle of the. Brian Smith from the Sunrisers Rotary Club and Jocelyn Filippini from the Rotary Club of Sudbury are 2 of the event organizers. Cancer survivor Jim Christison cuts the ribbon to start the Terry Fox Run in Bell Park Sept. 14. Photo by Heidi Ulrichsen. The type of cancer that claimed Canadian hero Terry Fox's life — osteosarcoma — is actually highly curable today. According to national news reports, the majority of patients now not only keep their limbs, but survive the cancer. When Fox was diagnosed in 1977, doctors amputated one of his legs above the knee, and he underwent chemotherapy treatments for 16 months. He died in 1981 at the age of 22 after the disease spread to his lungs, but not before he attempted to run across Canada on his prosthetic limb and captured the imagination of Canadians. By the time the spread of his cancer forced Fox to halt the Marathon of Hope, he'd raised $1.7 million for cancer research. 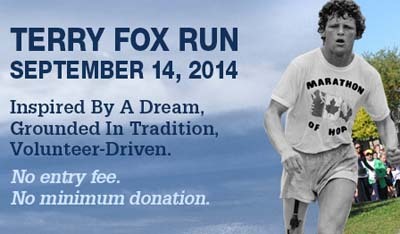 The annual Terry Fox Run, first held in 1981, has raised more than $600 million for the cause. The fact that Fox's cancer can now be beaten “tells us that research is working,” said Frances Summerhill, the honourary chair of Sudbury's annual Terry Fox Run, which took place in Bell Park Sept. 14. Last year, the local Terry Fox Run brought in $43,000. Summerhill said she hoped to surpass that amount this year, raising at least $45,000. Ben Leeson/The Sudbury Star/QMI Agency: Christina Chicoine from Zumba Vibe leads students from Churchill Public School in a Zumba dance fitness demonstration during the CIBC Run for the Cure media launch at Cambrian Ford in Sudbury on Tuesday. The Vibe Tribe team will be dancing for five kilometres of this year's run, on Oct. 5, and is inviting other participants to join them. Never hard to spot in their pink shirts, hats and feather boas, CIBC Run for the Cure participants will make their way to the finish line with even more eye-catching flair this year. Christina Chicoine is owner of Zumba Vibe, a sponsor of the annual breast cancer fundraiser, and has led the warmup for participants the past three years. On Oct. 5, she and her fellow Vibe Tribe team members, along with anyone else who's willing, will dance for five kilometres of the course. When volunteer run director Stephanie Koett approached Chicoine about added a dance fitness component to this year's run, she jumped at the chance. “Stephanie asked me, 'Can you do Zumba moving forward?' and I was like, 'Yeah,'” Chicoine recalled. “Then she asked, 'Can you do it for five K?' and I said, 'Absolutely.' “It was something we thought would be fun, a different element to the run, giving people more opportunities – they can run, dance, jog or walk. It's up to them.” Response has been positive. The Vibe Tribe is some 20 members strong and sits second among local teams in fundraising. “Even people who are just there for the walk, instead of running, they can also join the dance element of it as well, because it's going to be on the tail end of the run,” Chicoine said. So does Koett, another breast cancer survivor, who's determined to keep the run fresh and exciting for those who participate. Several students from Churchill Public School were present at the media launch, even joining Chicoine for a Zumba demonstration, and several more will be part of a team taking part in the run. This year's event, starting from Cambrian College, begins with opening ceremonies at 9 a.m.
More information can be found at www.runforthecure.com. Time: Walk begins at 10:00 with event wrap-up at 12:00 noon.